One of the most popular and well known brands on the market for over 50 years, Worcester Bosch has a reputation for manufacturing high quality gas, LPG and oil boilers. Since the beginning Worcester has remained committed to delivering reliable and efficient central heating products at affordable prices; the company frequently feature in best boiler surveys for their Greenstar boiler range, combining brand reliability and owner satisfaction. If you’re looking to replace your broken or inefficient boiler, we’ll take you through the costs, savings and benefits associated with the popular range of Worcester Bosch combi boilers, as well as the lesser known models for comparison. We can also offer up to 3 free no-obligation quotes from Gas Safe Registered heating engineers local to you. Whether you want a combi, regular or system boiler, there is a Worcester boiler to suit your home heating needs and your pocket. The multi award winning Greenstar range belongs to the highly successful Bosch group. Worcester Greenstar has an extensive range of gas, LPG and oil-fired boilers, which are all A-rated, high-efficiency, condensing models. The products are designed to deliver heating and hot water comfort to households, as well as helping to reduce your fuel bills and carbon footprint. Every boiler is rigorously tested before it leaves the factory, to ensure it is fit for everyday use. They were the pioneer of the combi boiler in the UK, with the Greenstar range developed to suit virtually all homes. Worcester Bosch combi boilers are both a high efficiency water (A-rated) heater and a central heating boiler in a single compact unit. They are cost effective and energy efficient as water is heated instantly rather than being heated and then stored in a cylinder. All Greenstar combis are designed and manufactured to provide high levels of performance and operating efficiency with their ’keep hot’ facility which ensures that hot water is almost instantly available whenever it’s required. The boilers also incorporate a special ‘ECO’ mode button which can be used to override the ‘keep hot’ facility – thereby using less gas, as energy is only used when hot water is required. For added efficiency, models such as the Greenstar CDI Classic, Greenstar CDi Compact and Greenstar Si Compact condense in both hot water and heating modes. Get free quotes to supply and fit a new Worcester Bosch boiler today. Less pipework in the home makes installation typically cheaper. The top of the range Greenstar CDI Classic combi boilers are high performance boilers suitable for small, medium and large sized properties with one or two bathrooms. Known for their exceptional efficiency and reliability, they are wall-mounted and offer the highest levels of hot water comfort. These wall mounted boilers have the smallest dimensions of all the combi boilers and can fit inside a standard kitchen cupboard. Despite their small size, their high outputs make them suitable for properties with more than one bathroom. Suitable for small to medium sized properties the Greenstar Si Compact combis can be wall-mounted in a variety of locations including a standard kitchen cupboard, utility room and airing cupboard. This Si Compact is fitted with frost protection so can also be fitted in a garage or loft. The successor to the popular i Junior series which represent 1 in 10 of all boilers installed in the UK. These wall-mounted boilers are ideal for apartments and small to medium sized properties with one bathroom. These floor-standing combi boilers have been developed especially for larger two bathroom properties where there is a higher heating and hot water output demand. Worcester is the only company that produces a combi boiler of this kind. Worcester system boilers are ultra-efficient and economical to run. System boilers require a cylinder for storing hot water, however the major heating and hot water system components are built into the boiler itself, making it quicker and easier to install. There is no need for a tank in the loft, so a good option for homes with little or no loft space. The compact size of the Greenstar i System boilers means that they can fit perfectly into many locations – including a standard kitchen cupboard. These boilers are also compatible with Worcester solar thermal systems, which deliver environmental benefits as well as lower energy bills. Built-in components makes installation quicker and neater. The wall-mounted Greenstar CDI Classic System series are high performance, high efficiency boilers that suit bigger homes with larger heating and hot water needs. Get free quotes to supply and fit a new Worcester Bosch boiler today. The updated ultra-efficient Greenstar i System series are Worcester’s most popular wall mounted system boilers and replaces the old i system series. They offer flexibility and can be installed in a number of locations. Get quotes to supply and fit a new Worcester Bosch boiler now. The 27kW and 30kW Greenstar I System boilers are a new generation of smaller and lighter wall-mounted boilers – suitable for small, medium and large homes. Incorporating all the benefits of the Greenstar I system series but offer higher heating output options to suit homes where demand is greater. The Worcester Regular boilers are ideally suited for homes that already have a traditional heating and hot water system which is linked to a separate hot water cylinder. These boilers also need a cold water storage tank in the loft to feed the hot water cylinder as well as a tank that maintains the water level of the central heating system. The compact size and smart design of Greenstar regular boilers means that they will look great in any home, with several options readily fitting into a standard kitchen cupboard. These top performing, wall mounted boilers have impressive heating outputs making them an excellent choice for larger properties. The CDI Classic has set the heating industry benchmark for efficiency, helping to reduce gas bills. Get free quotes to supply and fit a new Worcester Bosch boiler today. These compact, wall-mounted boilers are small enough to be installed in a standard kitchen cupboard and are a great option for small and medium sized homes. The higher output wall-mounted Greenstar Ri 27kW and 30kW boilers meet all the heating and high water needs of medium to large properties Frost protection is also included on the Ri, reducing frost risk if installed in a garage or loft. With its sleek modern design, it is perfectly suited to installation anywhere in your home, including in a kitchen where it has been designed to slide neatly under a standard kitchen work top. The Greenstar Heatslave II External series is ideal when you want a combi boiler but dont have the indoor space or prefer to have it outside. The robust design ensures that even in harsh weather conditions, heating performance is maintained and the boiler components are fully protected. The compact and highly efficient Greenstar Danesmoor System is ideal for small, medium and large sized homes with heating system that includes stored hot water. With the Danesmoor Utility series the heating temperature control and system pressure guage are positioned behind the front panel. If space in the home is at a premium then the high efficiency Danesmoor System External series is a perfect choice as it is contained in a robust cabinet that protects the boiler in all weathers. 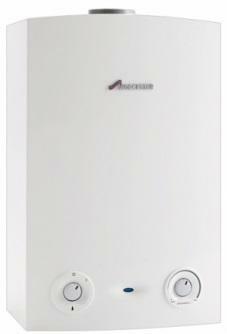 For added choice Greenstar regular boilers come in a wide range of models. They are also designed to be installed in a range of indoor and outdoor locations and are suited to a variety of heating requirements. It’s important to keep your boiler in the best possible condition with an annual boiler service by a professional engineer. This will ensure the boiler can operate as efficiently as possible, keeping heating bills to a minimum, and that there are no potential safety issues to be concerned about. A boiler service is also a great way to catch and fix small repairs before they have the chance to worsen over time and cause an expensive breakdown. Find out what’s involved in an annual boiler service, why it’s so important, the benefits and how much they cost in Worcester Bosch Boiler Service. Every boiler manufacturer offers a standard warranty with their boilers which last between 1-10 years. The warranty is your insurance policy and means if a fault develops the manufacturer will resolve it within a specified time frame. Some warranties include both parts and labour while others may only cover parts. The most important thing to remember is to get your boiler serviced by a Gas Safe registered engineer every year as failing to do so is likely to invalidate your warranty. For more detail about this brand’s warranty (including the small print) take a look at Worcester Bosch Boiler Warranty. Even the highest quality boiler can develop faults and problems as they age. Some are minor issues you may be able to handle yourself but most will need a Gas Safe registered engineer to diagnose and repair the problem. To find out if there are any common problems associated with this manufacturer you can read our guide to Worcester Bosch Boiler Repairs & Common Worcester Bosch Boiler Problems. Error codes may appear on your boiler’s display; it’s your boiler’s way of telling you that something is wrong. Each manufacturer uses a different coding system to help an engineer to diagnose a fault. In some cases it may be a simple issue such as low pressure which you can adjust yourself but more technical faults will certainly need a professional. We’ve put together a list of error codes for all Worcester Bosch Boilers to help you understand what’s wrong before you contact an engineer. Worcester Greenskies Solar Panels provide a solar hot water system or solar thermal collectors; these panels are installed on your roof to capture heat from sunlight to and use it to heat your water. They also manufacture and air to air heat pump for heating the space in your home. For maximum control over your Worcester Bosch boiler you can choose from a selection of digital and programmable thermostats or Bosch EasyControl which is a smart thermostat. Smart thermostats are connected to the internet so you can remotely manage your heating via an APP on your smart phone or tablet, can automatically adapt your heating to the weather outside and record how much energy you are using. However, if you would prefer a traditional version Worcester Bosch also offer a range of mechanical controls.